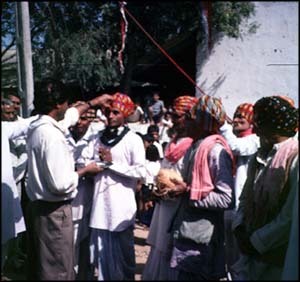 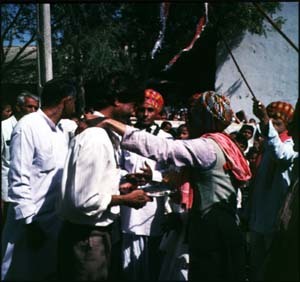 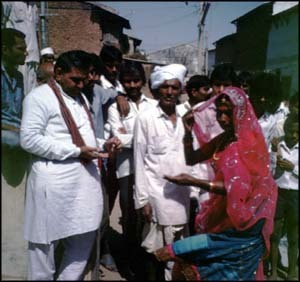 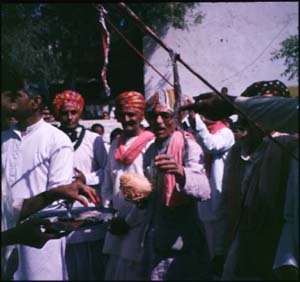 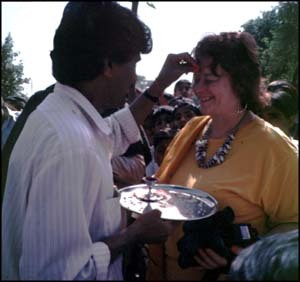 Pictures of a village reception for Bhavai actors outside a village. 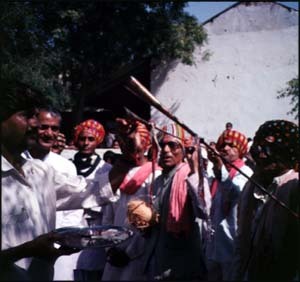 The Bhungal horns, tabla, and actors are marked with red kum kum powder and rice as a sign of blessed welcome. 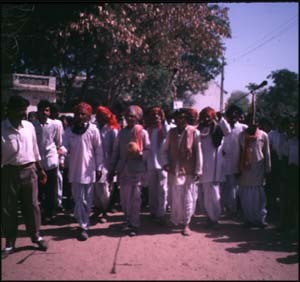 Then the actors enter the village in a procession to their lodging and lunch. 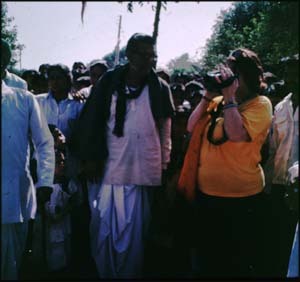 They stay at the temple or in the village dharmasala (community lodging hall for visitors). 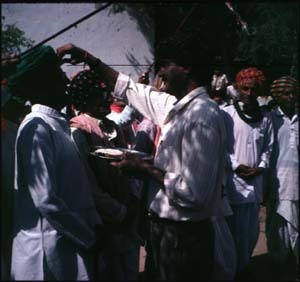 Food is either prepared for them in private homes or by the actors themselves from ingredients given to them for their stay.